Timer or remote switch controlled valves to isolate your air storage tank - saving air, energy and money! 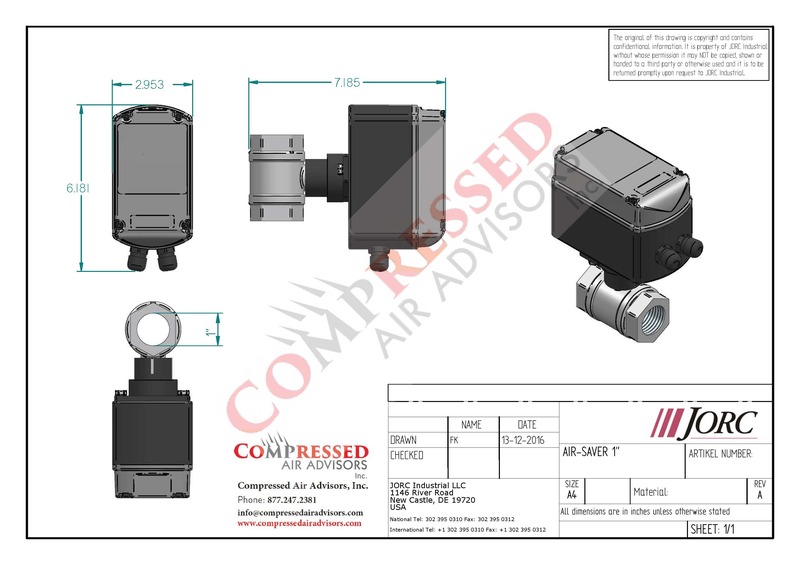 All compressed air systems have leaks. Pipe connections, condensate drains, instruments, hoses and fittings - all of these are potential leak points, and these leaks can be expensive. They cause your compressor to operate even when you aren’t there, cycling on and off to maintain pressure during evenings and weekends when it isn’t required. 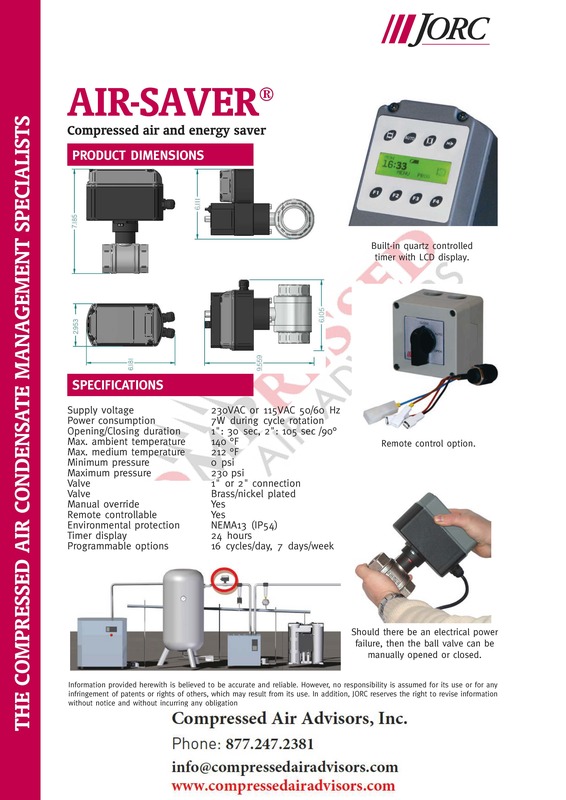 Even a small 1/8” hole can cost more than $2,000 a year in electricity due to increased compressor run time*. 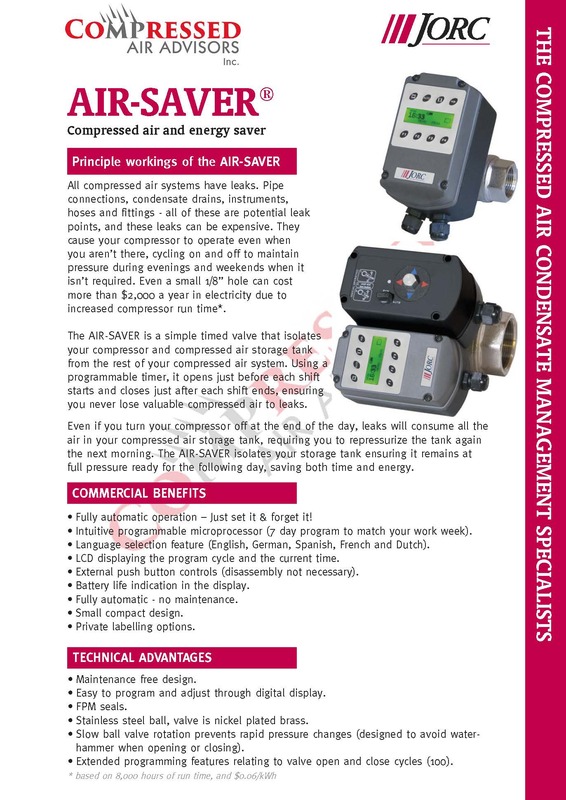 The AIR-SAVER is a simple timed valve that isolates your compressor and compressed air storage tank from the rest of your compressed air system. Using a programmable timer, it opens just before each shift starts and closes just after each shift ends, ensuring you never lose valuable compressed air to leaks. Even if you turn your compressor off at the end of the day, leaks will consume all the air in your compressed air storage tank, requiring you to repressurize the tank again the next morning. The AIR-SAVER isolates your storage tank ensuring it remains at full pressure ready for the following day, saving both time and energy.